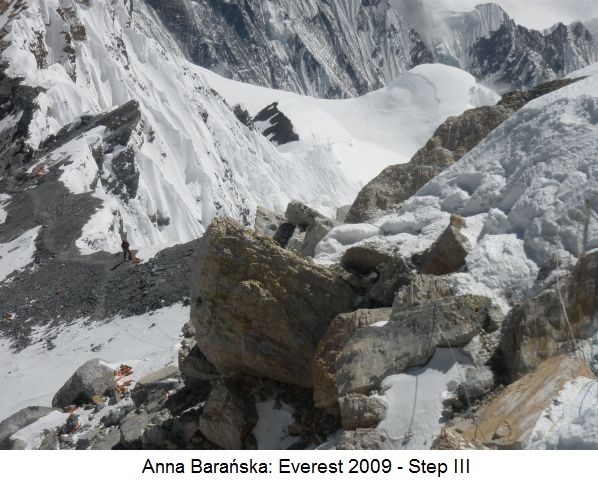 Anna Barańska: My Everest – Mt Everest North Face International Expedition 2009, part 2. 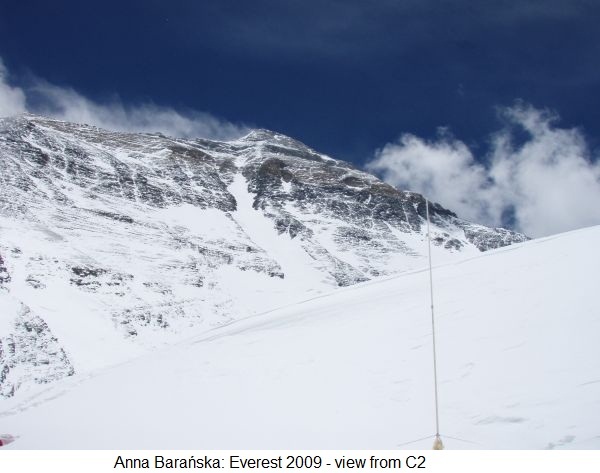 On May 21st 2009 at 7.30 am Anna Baranska reached the summit of Mount Everest (8848m). She was the 5th Polish female on the top of the highest mountain in the world (after Wanda Rutkiewicz, Anna Czerwinska, Martyna Wojciechowska and Agnieszka Kiela-Palys), but the first one to ascend the Northeast ridge. 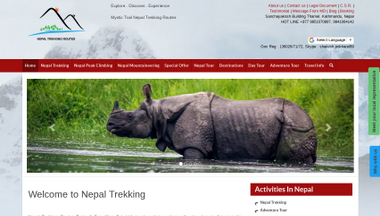 – Mt Everest – North Face International Expedition 2009, part 1. 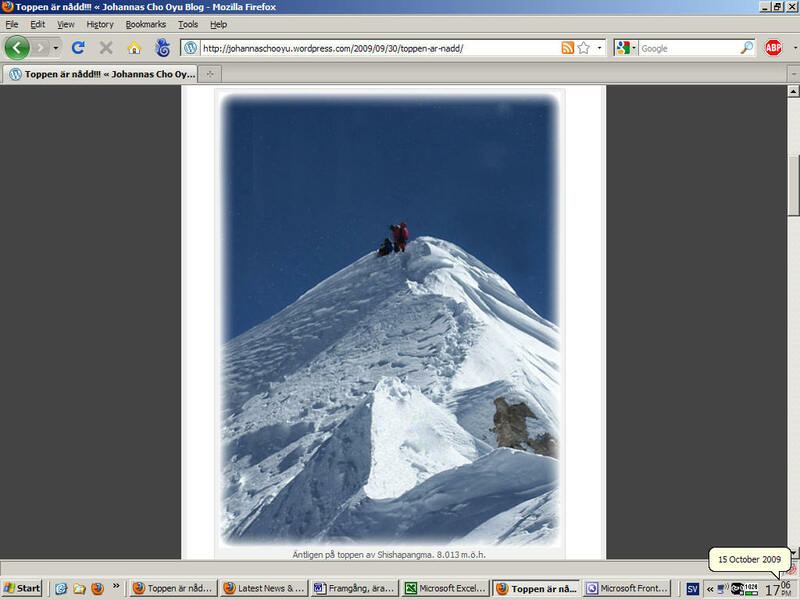 My Everest – Mt Everest North Face International Expedition 2009, part 2. Frank and I started the next trek early in the morning before the official breakfast, scheduled for 8 am and we walked on the Rongbuk glacier above Base Camp towards Middle Camp (5900 m). It is an approximately 14 km route through the rocky hills. The route starts from the plateau and then it turns sharply to the left after 45 minutes. We reached Middle Base Camp in a good time of 3 hours 45 minutes, had our packed lunch and tried to check a little bit of the route above. It turned out we were not well acclimatized at that time – Frank had a stomach ache, I was vomiting from being tired, for the first time in my life. 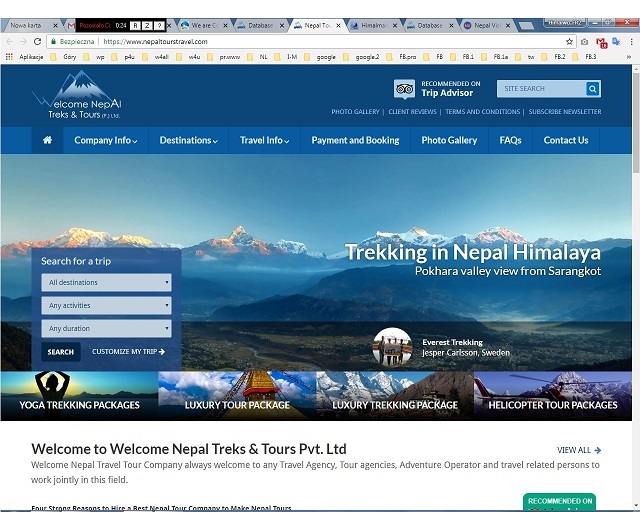 In addition, I had a diarrhea since we left Katmandu, which I tried to treat on the way to Base Camp with Canadian and Czech medicines (my medicines were being transported in the main luggage directly to BC by omission; what’s more I did not have many of them, as I rarely have stomach problems). Czech medicines didn’t help a lot but didn’t hurt either, Canadian ones were more effective. After I had used those supplies, I asked our expedition manager for some additional medicines, but instead of stomach pills he gave me a very strong antibiotic. As a result, I felt very bad and I was not able to move to Middle Camp with the others. I stayed alone in the tent in Base Camp, writing desperate text messages home. I needed support from my family so much. Mobile network coverage on the altitude of Base Camp was a surprise. It turned out later that the network coverage was probably available even at 6400 m, so the Columbians were able to write emails and receive the weather forecasts. Unfortunately, my mobile did not work there. I went to Middle Camp on the next day, April 24th, accompanied by Veslaw who was as slow as me that time. We were both in a bad shape that day. When we reached Middle Camp, a Sherpa called Pasang welcomed us with a multi-dish dinner. Apparently, Pasang himself for the last several years lived off only flour with hot tea, as he could not digest anything else. Middle Camp is surrounded by spectacular penitents, which provoked Canadians to discuss the use of their technical axes. The penitents stretch towards the direction of Makalu, where the last turn to Advanced Base Camp (6,400 m) is located. The views were marvelous despite the fact that you can’t see Everest after the first turn to the left on the glacier. 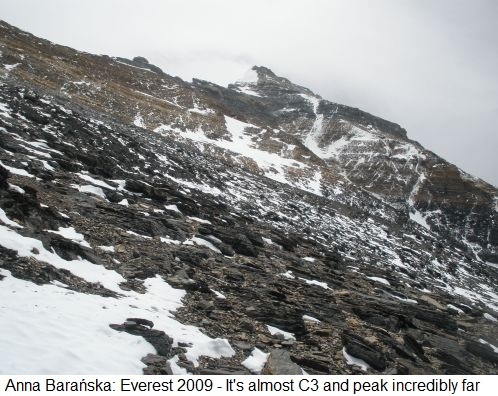 Passing the route for the first time may be irritating – the question is when Everest will be visible again? When we finally got to ABC (6,400m), Frank and I planned further acclimatization together. Frank wanted to go up as often as possible because he felt strong and did not want to use supplemental oxygen. Looking at him at that time I was certain that he would be the first one in our group to make it to the summit, in particular when I compared his preparation to that of other people who were regularly disappearing from ABC to the lower camps to rest. While some people were suffering from edema, long lasting diarrheas and coughs so strong that they resulted in broken ribs, the only health problem Frank had was a hiccup : ). The first warning sign that he was not so superbly immune came to me when we planned to climb to Camp II (7,700m). I’ll come back to it later on. I was passing 22 kilometers of the glacier route several more times up and down in various weather conditions, every time hoping that I had passed certain part of the route already and I was closer to the destination than I thought. Unfortunately, it always turned out that I passed by a damaged measurement triangle, a characteristic rock or through a glacier stream much later then I had reminded myself about their existence. The size and length of the glacier were the most visible when I had a chance to observe it from the above of 7,300m. Contrary to my experience, yaks had no problems with the distance and were passing it with the load within one day. I would call the pace of hiking with Veslaw from Middle Camp to ABC on the next day, April 25th, contemplative. Frank ensured that I had my tent set up and in addition he showed a very nice gesture by descending below ABC to help the new-comers. He spotted Veslaw and me, took heavier Veslaw rucksack, Veslaw took mine, so I was lucky to walk only with the trekking poles. After one day rest in ABC I left for Camp I situated on 7,000m. The route was passing through the base full of Chinese and Japanese tents, then through the horizontal rocks to the so-called Crampon Point where every climber attaches their crampons and sometimes leaves excess load. Then, wearing crampons, I followed the route leading through an icy plateau with several crevasses to icy, covered in snow and increasingly steep (up to 60 degrees) slopes. The route to Camp I ends with a little ice ladder on the wide crevasse, surrounded by threatening seracs. Some actually fell down in the beginning of May, luckily causing no casualties. My first attempt to reach Camp I ended more or less after three fourths of the way to the destination – it was late and I listened to the Sherpas’ advice to go back. I reached the camp at the second attempt, but I didn’t sufficiently cover my face from the sun, so I got heavy sunburn by the evening. In addition, my face was swollen to almost twice the normal size as it was my natural response for the high altitude. I looked very bad, so Pemba asked me to go down as soon as possible. In the middle of the way, a Columbian doctor applied me an unidentified injection to reduce the swell. In order to compromise between my laziness and recommendations regarding my health, I decided that a descent to Middle BC would be sufficient. Looking at the photos from these days I think it was, but after two days Pemba looked into my tent asking me to go down with him to BC. We did it in a very good time of 2.5 hours. Since May 5th I spent time in BC with Marc-Andre, one of the three Mad Frogs, the one who came there to accompany the other two rather than for a real climbing. He admitted himself that he had neither sufficient experience, nor ambitions to climb Mount Everest. In addition, he suffered from different diseases, including a broken rib following a heavy cough, which resulted in him deciding to present to his employer these two months not as a holiday but as a sick leave. He had a medical book on altitude diseases and to some extent they created together a kind of perpetuum mobile. The beginning of May, when my face was shrinking to its normal size, was actually a lesson of patience – the days differed from each other mainly by the menu and the wind strength. When we started feeling – or looking – better, we went up. It turned out that as for climbing we did not lose a lot, in terms of Amaretto brought by Alex – a half of the bottle ;). It is worth noticing that Sherpa cooks cared about us and tried to serve varying and tasty meals. We had fried and roasted chicken, chicken in curry sauce, yak meat, canned ham, steamed vegetables, fresh vegetables, potatoes in 100 varieties, pasta and rice. Pizza which was served on several occasions was always welcomed very enthusiastically. There was always something sweet for a desert, like canned fruit or vanilla pudding. Combinations for breakfast were much more limited, so by the end of the expedition everyone hated omelets and rice pudding. Climbing during the next days was driven by our physical condition and changing weather. Due to bad weather Frank returned to BC as well. We both returned to ABC in the spreading fog and falling snow; I was doing my best not to lose him from my sight as otherwise losing the route on the glacier would be very likely. Afterwards, again only Frank and I were thinking about moving up. We planned to spend two nights and a day in-between in Camp II (7,650 m). I reached Camp I much later than him but in the next morning I met Frank coming down, saying he had a bad night and needed some rest and decided to go back to BC again. Maybe then I first saw a warning sign in my head? So far he appeared to be in an excellent condition, the only problem he could find in the Canadian medical book was a hiccup. When I came back to ABC, he already had gone to the lower camp for a couple of days. Anyway, I ignored this fact because it seemed to be so common at that altitude. The other members didn’t even try to go above ABC. In the tent in Camp II Pemba decided that spending the whole next day there would mean only losing energy, rather than improving acclimatization. He couldn’t understand why I cared so much about climbing as high as possible, while the others preferred to stay in ABC with good food and no effort. At the end, it turned out that at that stage only Pemba and I spent the night between May 13th and 14th in Camp II and reached that altitude. Based on the weather forecast for the Columbians the summit day was planned for May 21st. While we were waiting for the summit push, it started to be extremely cold in ABC in the evenings. Frank initiated a trend of coming to the dining tent for the dinners in his down suit. On the other hand, he was the only one wearing shorts on the hot days at 6,400m. On the last day before the start, Frank prepared a card for the summit photo. He told me about this plan on our first hike, in Nylam. He wanted a photo on the top with him holding a card: ‘Christina, will you marry me?’ I did not see the card after it was finished. He only showed it to me at the stage when the letters in every second line were colored with my black pen. He then went to the Sherpas for additional colors. The summit push was planned for the days indicated as the best in terms of the weather. We climbed together on the May 18th to Camp I with the Czech and Canadian groups in a very good mood, full of expectations. Frank and Alex beat some speed records, getting there in about three hours. We spent the afternoon in a cheerful atmosphere, contemplating the sunset, cooking, visiting each others’ tents. These hours were actually the last happy ones. In the evening Veslaw got a heart attack and died despite a really professional resuscitation carried by Alex and Manuel. On the next morning, I helped in the talks between the local clerks and his family regarding leaving his body in the place of his death, in a deep crevasse close to Camp I. After this all or maybe despite this all we started our climb to Camp II. I wondered what else we could do? Would it have helped? On the way up, I carried a torch, down gloves and boots lent by Veslaw only a day before. At the very beginning of the way to Camp II my thermos fell out of my backpack and I just managed to see it sliding down the slope at a speed of a rocket. My low pace on the way induced me to use supplemental oxygen in the higher parts of the mountain. During the next day, May 20th, we started our way to Camp III (8,300 m) through steep rocks and several snow fields. I finally reached Camp II much later than the others in a very heavy snow and wind, so I met Frank and Alex only on the next day, when they passed me climbing on the ropes. Alex was faster using oxygen, while Frank remained about ten meters ahead of me. Alex told me later that Frank, due to exhaustion, was already ‘completely useless’ in setting up the tent there. It was windy and so high, that actually every breath, not mentioning every move, was exhausting even with supplemental oxygen. The location of this camp is characteristic; it is situated just between gray and orange rocks visible from the bottom. Pemba and I cooked some additional food, knowing that the next day would be long and exhausting. The scale of tiredness at that altitude is illustrated by piles of garbage left by climbers – parts of tents, used oxygen bottles, cooking sets were almost everywhere; the wind was playing with them. We started our summit push around 10 pm, after a short nap, on the same day we reached Camp III. I had my mask, crampons and all necessary equipment, but I still did not believe that I was able to reach the summit. Anyway I tried, and my pace was enough to overtake the two other teams – Manuel and Jairo with their Sherpas. Frank and Alex could see our lights above them. The route was steep up to the Mushroom Rock, then it was rather horizontal but exposed from the right side (the Kanshung side?). Step I and Step II were easier during the night as it was too dark to see how much they were exposed. They wouldn’t have been that challenging on lower altitudes, but the combination of technical difficulty with the altitude of above 8,600 m caused problems with catching a breath. We climbed Step III already in light of the rising sun. What was left then to climb was the steep snow field, with the summit already visible. At this point it appeared that it was so close to the top, but the route followed through a surprising traverse, steep rocks and three snow hills to the summit dome. Reaching the last hill was surprising as well – the very top consisted of rocks covered with a steep glacier dome. When I was walking there I was moved by the fact that my dreams came true so easily – before the expedition had started I felt that my Everest was 20,000 meters high. I reached the top of Mount Everest at 7.30 am local time. There were some more climbers from the South Face. Manuel appeared as well, overtaking me at the last rocks again, calling his family from a satellite phone. I asked the closest person, a Japanese, to take a photo of me, but it turned out that using my camera was too difficult for him – as a result I have only the photos of my daughter’s socks which I took myself with the view from each side including the North Face (our) climbing route. I hope I can show them to her at some time in the future. And I will always have an answer, in case she would like to climb Mount Everest: “Honey, you don’t have to, your socks were already there”. I took the roll of flags left close to the Buddha statue and started the descent. The wind was terrible but the views were marvelous. At the bottom of the steep snow field I met Frank. He said he was cold and asked me for hand heaters. I said that he had maximum one and a half hour to the top and gave him my gloves (I had several pairs), gave him a hug and wished good luck. I did not notice how deteriorated his condition must have been at that time due to the length of the route and the lack of oxygen. I was so confident that he would succeed without any problems. 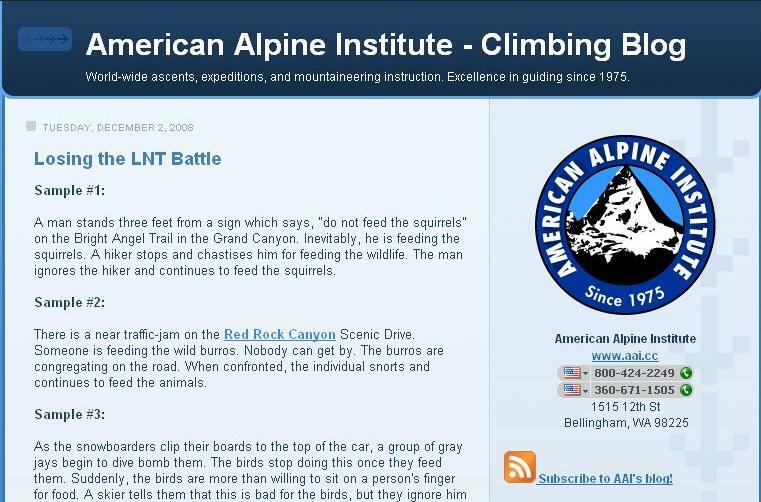 He reached the summit, but the people seeing him there described him as extremely deteriorated and not fully conscious. Probably being not fully conscious, he did not agree to using supplemental oxygen proposed by a French climber or to going down together with a French team. The exact reason for those decisions will remain unexplained. On the next day Alex came to my tent saying that Frank did not return to their tent. I just started to cry. It was so cruel. It was not fair. Alex was waiting for him the whole next day with hot tea and a meal and he was not able to do anything more than this. Frank fell asleep and remained at the bottom of the Step III at the altitude of around 8,700 m.
My descent was full of dramatic moments. My eyelids were burned by the sun, I almost couldn’t see, so I moved to Camp II mainly thanks to the fixed ropes. When they ended I couldn’t locate the further route on the plateau in the rising snow storm. I was alone there and only thanks to another climber, probably the same one who talked with Frank on the previous day, I managed to reach Camp II. In Camp II I took some rest in a French tent and I initially planned to stay there till the next day. Manuel found me there and asked me to go down with him because of the snow storm, heavy wind and our uncertain physical condition. I agreed and luckily the lower we descended the more stable the weather was. I was tired and I hoped that we would stay in Camp I for a night. It turned out that Manuel had different plans – he wanted to go down straight to ABC to avoid any negative consequences of staying another night at the altitude above 7,000 m. Eventually, we stayed in Camp I only for a tea given to us by a very nice Slovenian climber and went further down arguing whether to use or not my half ring bend. He preferred using figure of eight. During the night Veslaw helped us in a certain sense – his torch was the only one we had. Finally we made 1,900 m descent in one day after the exhausting summit day (climbing up and down for approximately 18 hours in total). At the base of the glacier leading to Camp I the Sherpas and two Mad Frogs were waiting for us with additional torches and hot tea. I was walking through an almost empty ABC in the darkness as Chinese and Japanese climbers occupying it had already left. 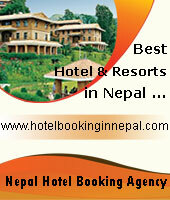 I was accompanied by a Sherpa from our agency and the satisfaction that it was all over. In our camp we had an opportunity to use the comfortable Columbian dining tent, however, instead of a congratulatory cake like after Cho Oyu summit, we had only a cold dinner. I had blisters on my feet and I was not sure about my feelings at all. The next days were spent on wrapping up the expedition. They did not taste like success, they were sad, and the most important moments were the telephone calls to Christina, Frank’s fiancée. We were preparing ourselves to go back to the reality of a horizontal world outside the mountains. In addition, there was a heavy snow-fall covering ABC with additional 1.5 m of snow. On May 27th I moved down, thinking that I was seeing these sights probably for the last time in my life. I reached BC just in time to take the bus and apply for the summit certificate. We celebrated in a bus drinking beer, but for me it was a bitter victory – actually I still can’t cope with Frank’s and Veslaw’s deaths. We stayed at Tingri for a meal, in Zangmu for a couple of hours of sleep. In Katmandu, Mad Frogs, Manuel and me stayed in the hotel recommended by Frank, probably to be closer to him just for a couple of hours more. Our expedition lasted nearly two months (April 6th – June 1th 2009). Difficulties with obtaining the Chinese visa resulted in crossing Nepali – Chinese border on April 15th. We were at BC on (5,200m) on April 19th. Climbing above ABC (6,400m) started at the beginning of May, including one push to Camp I and the second push to Camp II. The summit push was started on May 18th – climbing to Camp I (7,000m), on May 19th to Camp II (7,650m), Camp III (8,300m), the final part started before 10 pm with the sky full of stars and light wind. I was a member of an international team organized by Monterosa agency (which proved itself during my earlier Cho Oyu expedition). I had an experienced Sherpa on my team. The technical climbing difficulties of which I had been so much afraid before the expedition appeared to be challenging but inspiring. I reached the top of the world at 7.30 am, May 21st. At the same day, there were three other climbers from my team who reached the top: Manuel Pizarro (Canada), Frank Ziebarth (Germany) and Jair Gonzalez (Ecuador). This season was generally assessed to be a very unsuccessful and dangerous one. There were people from other agencies who passed away at that side of the mountain. 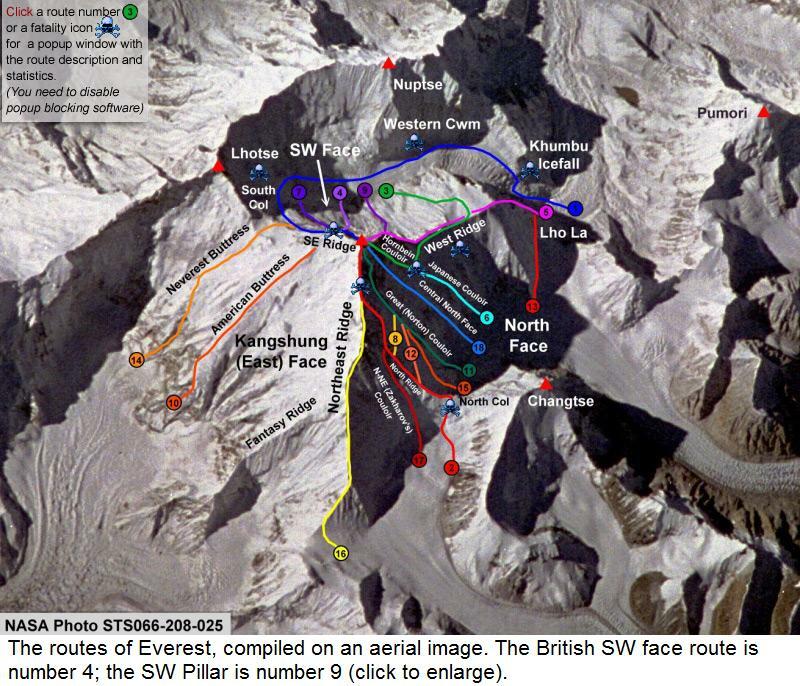 Only a couple of days were qualified as possible for a summit attempt – the beginning of May when Chinese climbers were fixing ropes and May 21st – being of our summit push. The snow on the following days was too heavy to allow other climbers to attempt summit push; for us it made the descent much more difficult than expected. * The further fate of the expedition read in part 3. Anna Barańska – (born 8th September 1976) – Polish mountaineer, climber of two eight-thousanders. 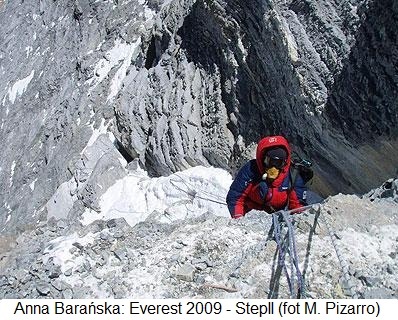 The first Polish woman on the North Face of Mount Everest, climbed on 21st May 2009. She started her mountaineering adventure in 2000 by climbing Rysy from the Slovak side. The next climbings were as follows: Gerlach 2650 m – June 2000; Triglav 2864 m – September 2001; Mont Blanc 4807 m – August 200 ; Elbrus 5642 m – unsuccessful summit trial in August 2003; Lenin’s Peak 7210 m by the normal route – June 2004. 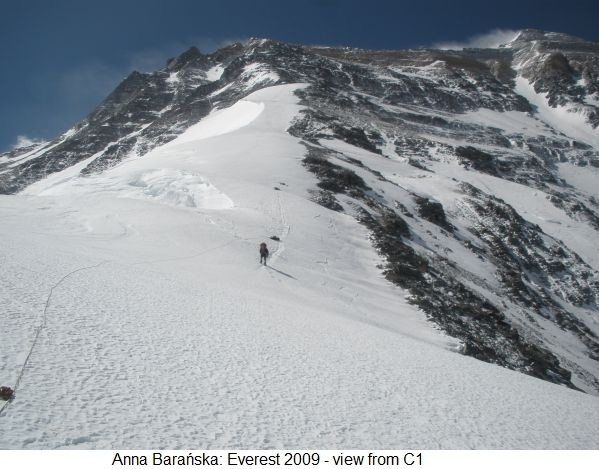 In 2005 Anna reached the top of Cho Oyu 8201 m in Tibet by the normal route with Piotr Barabas on September 28th. 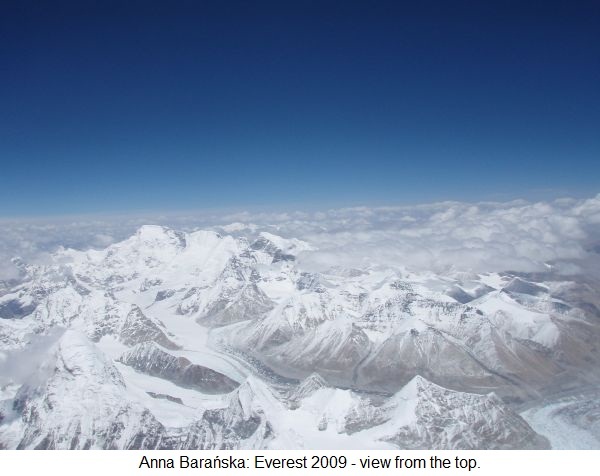 – Anna Barańska: The first Polish woman on the North Face of Mount Everest.